When a person suffers a personal injury because of a slip and fall on someone’s property, because of an accident at work, or because of a car accident, there are different pieces of legislation that are required to be followed in order to claim for compensation. Compensation can include recovery of medical expenses, lost wages, pain and suffering, future loss of wages, future medical expenses, loss of superannuation benefits, care provided by family and friends, etc. You need to contact a lawyer to ascertain how a claim can be made. 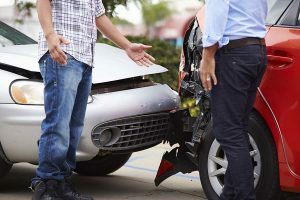 There have been for many years legislation in place for all types of accidents that require a claim process to be exhausted before instituting proceedings in a Court. Only after a conference with the responsible party’s insurance company, swapping final offers and waiting 14 days, can proceedings be instituted in a Court. Every claim is individual so advice cannot be provided before a claim is lodged, what attitude will be taken by the insurer in offering you a reasonable settlement money. As a lawyer a range of damage is provided to a client prior to that conference, and if the insurer fails to offer damages within that range at that conference, alternatives moving ahead will be discussed with the client. Sometimes it is necessary to institute proceedings in a Court to obtain a better offer. This does not mean the matter will go to trial, but it does mean, that the additional step of filing a Claim and Statement of Claim is necessary to obtain an increased offer from an Insurer. All aspects must be considered, both liability and the type of claims made on your behalf. A lawyer will discuss these alternatives with their client so an informed decision can be made by the client and all risks discussed. Costs penalties against a Plaintiff need to be discussed if an offer is rejected from an Insurer and the Judge finds the offer they made was reasonable. As indicated above, a claim process must be commenced and completed, before proceedings are filed in a Court. As discussed above, sometimes it is necessary to file proceedings, before an insurer will offer a reasonable settlement. Once a settlement is achieved and a Form of Release is signed, certain clearances are required to be obtained from Centrelink, Medicare, Hospitals, etc. Settlement money is then generally paid within 28 days of the last clearance being received.